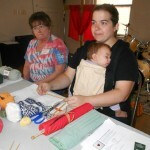 Theresa Wollenstein learned to crochet when she was very young, then picked up knitting in 2002. 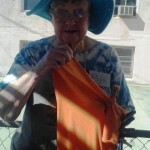 That skill was quickly followed by spinning, then she met Bjo Trimble and began dyeing. 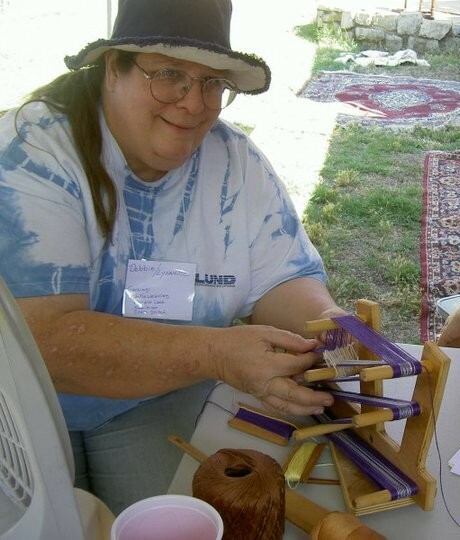 Early in 2013 she (finally) picked up an inkle loom to learn to weave, finally combining her loves of color, strings, and math. She’s usually found managing the dyepots at events or teaching a knitting class, although she’s also put some work into the Bjeaux Tapestry and continues to take classes to add to her plethora of skills. In 2015, John and Bjo Trimble passed Griffin Dyeworks on to her, after years of her managing the online store and social media. Bjo Trimble is the co-founder of Griffin Dyeworks and has been using natural dyes since she was a little girl in the Midwest during the Depression. She firmly believes that knowledge is to be shared with everyone, and strives to offer workshops, events, and retreats at low prices. 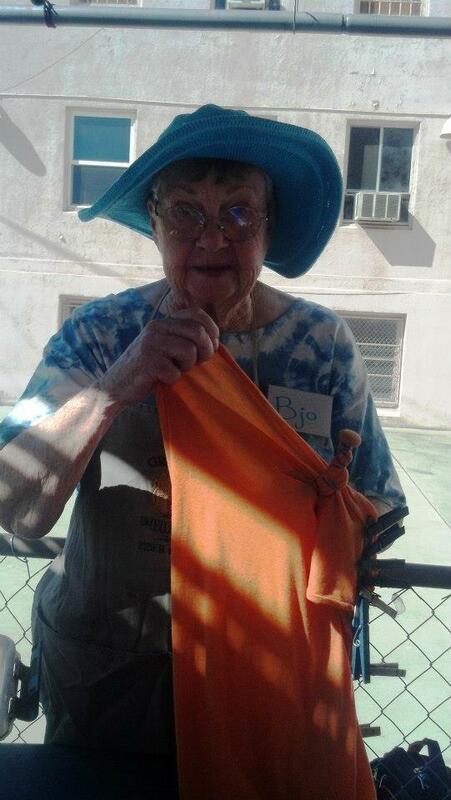 Bjo is also a talented artist, seamstress, quilter, and illuminator (aka painter of scrolls with period pigments). She retired from Griffin Dyeworks to start her new business, Ancient Earth Pigments. 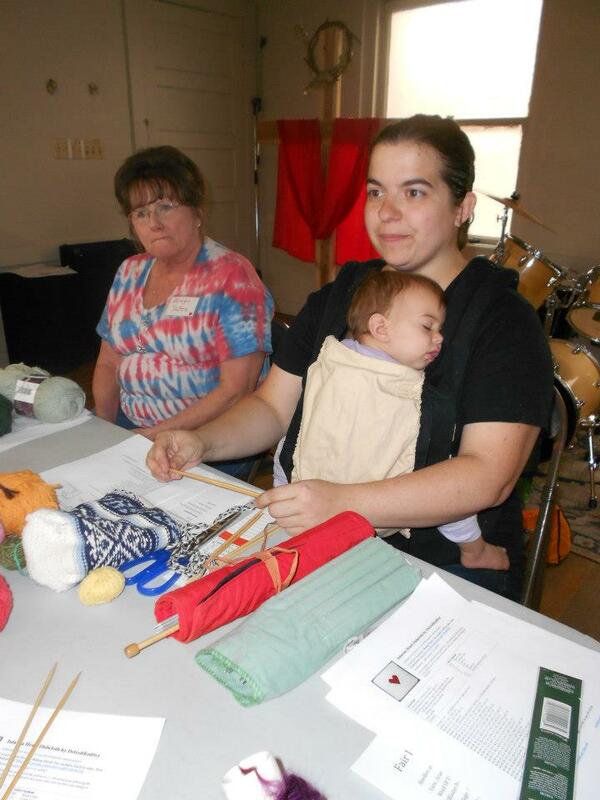 Debbie Coyle teaches weaving (inkle and card), knitting, cross-stitch, spinning, kumihimo, lucet, potpourri, bath salts, and flavored vinegars, but she also enjoys crochet, needlepoint, Tunisian crochet, beading and other crafty skills. Within the Society for Creative Anachronism, she has been awarded with Baroness’ arts awards, one each for kumihimo, lucet, and inkle; two Harp Argents, one for things herbal, one for brewing; and a Lux Caidis for weaving. At the LA County Fair, Debbie has been recognized with blue ribbons for knitting and weaving, and red ribbons for spinning and crafting. 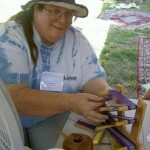 Debbie keeps track of her crafting at http://lynnette.housezacharia.com/, and sells handmade items with Unicorn Fiber Arts at http://unicornfiberarts.com. Cat Ellen grew up sampling every craft kit her Mom could supply. 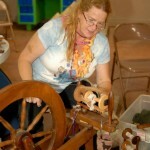 In the mid-90’s she found spinning on a drop spindle, and for the first time ever, a craft took over as a complete addiction. 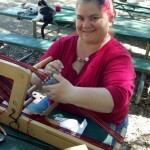 In the past few years, she became enamored with both Card-weaving and Inkle-weaving and now both spindles and looms can be found with her, everywhere she goes. 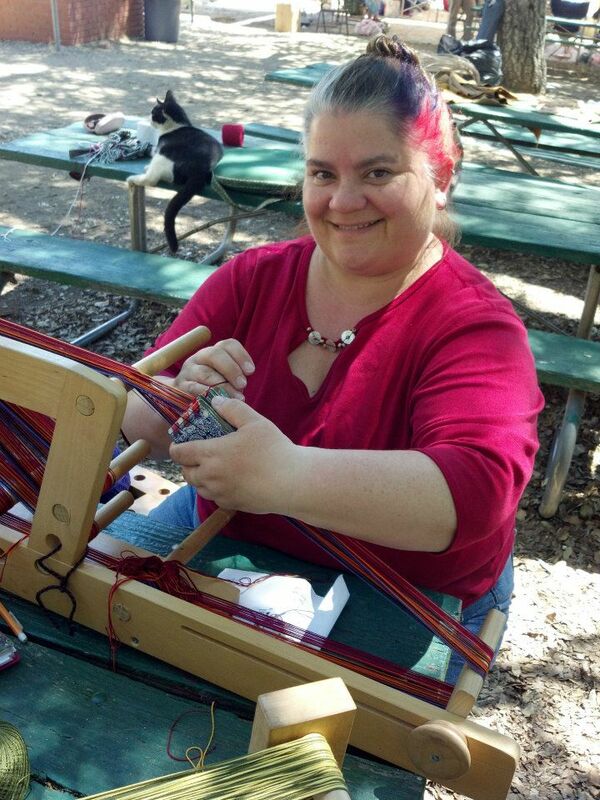 Beginning Spinning, Spinning Flax on a Drop Spindle, and a Ram’s Horn class she calls “Gypsy Eyeball” are some of the courses that Cat most enjoys teaching. 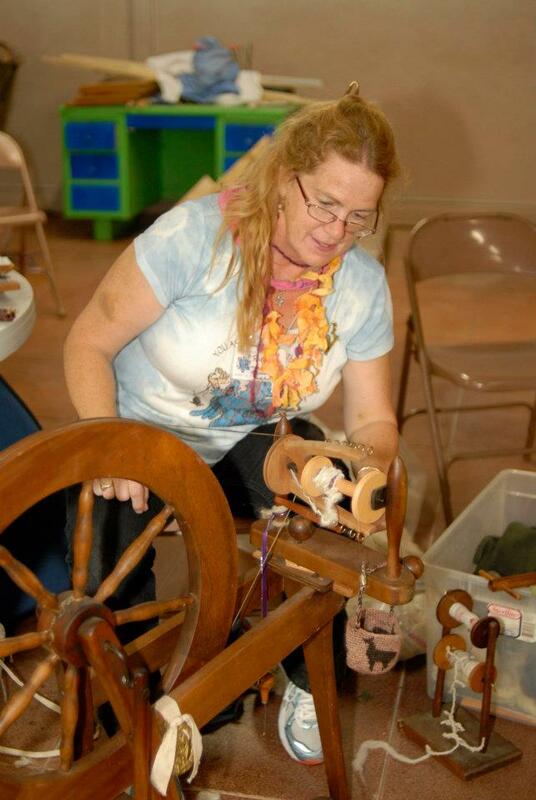 She also makes “art yarn” (Thick and Thin) and enjoys teaching students to spin something complete unlike what you can find commercially in the stores. You may already know Cat from the Coffee Bar of Splendoor at the various Retreats and Frolics. You can read more about Cat’s crafts adventures on her blog at http://cayswanncrafts.blogspot.com/ or at CaySwann Crafts on Facebook, or check out http://cayswann.etsy.com for her store. Roberta Brubaker was terrified by Maleficent, the Evil Fairy from Sleeping Beauty as a child, but she conquered her fear by becoming an expert in spinning, which she taught herself at age 11! These days, she can be caught teaching: Spinning, Fiber Prep Combing/Carding, Spinning with Drop Spindles to the Great Wheel, Spinning Novelty yarns; Weaving – Band Weaving / Inkle Weaving, Card/Tablet Weaving-Intermediate Double Faced Words and Graphics, and Advanced Ram’s Horn; Fingerweaving, a Native American technique; Fabric Weaving – Basic Rigid Heddle Loom, Multi-harness Table and Floor Looms including warping, and weaving unique patterns, the Triangle Loom; and Stained Glass – including Glass Pebble Bowl Soldering. She has won Arts competitions with her handspun yarns and card woven bands.